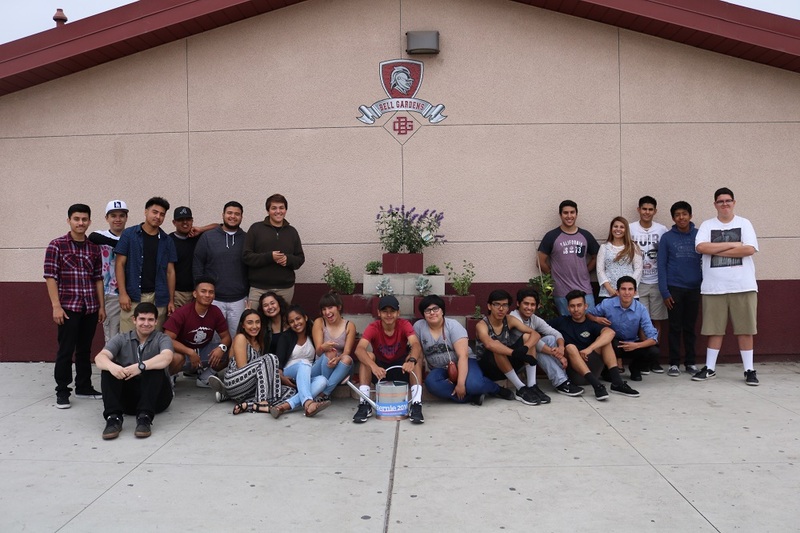 MONTEBELLO – When Bell Gardens High School students returned to campus this month, they were greeted by a drought-tolerant garden and a video on Latino heritage meant to foster a more positive and tolerant outlook amongst students on campus. Both are projects created by forty students who attended the first Rise Up for Humanity youth conference, held for 200 students to raise consciousness on societal issues and build a progressive youth network in Los Angeles County. At the conference, students took part in various workshops that focused on topics related to homophobia, racism, media literacy, knowing your rights and more. Students also learned to change the narrative related to social justice issues through artistic tools such as video production, photography, song writing, poetry, writing, murals, gardening, cooking, yoga, meditation and theater. The goal of the event, held in spring, was to inspire students to develop human relations projects through these various forms of art at their schools. While students took part in their workshops, teachers networked with one another about methods to incorporate social justice-based student projects within their curriculum. Upon returning to campus, Torrez brainstormed a social justice project to pursue with her students, deciding on a garden built with homemade cinderblocks to house succulents, a drought-tolerant plant. “We wanted to beautify the campus and decided on a garden because the environmental pathway gardens on campus are hidden away, but this one is out in the open for everyone to see,” Torrez said. Bell Gardens history teacher and boys soccer coach Miguel Ruiz attended the conference with five students – three from his Advanced Placement World History class and two from the soccer team. Ruiz said the conference, with its clear and powerful message, exposed the students to something new. Montebello Unified Superintendent Susanna Contreras Smith said opportunities like the Rise Up for Humanity youth conference motivate students to take pride in their campus and make them excited to attend school. 083016_MUSD_YOUTH1: Margie Torrez’s Culinary, Hospitality Opportunities Pathway (CHOP) students at Bell Gardens High School constructed a succulent garden as their social justice project after they attended the Rise Up for Humanity youth conference. 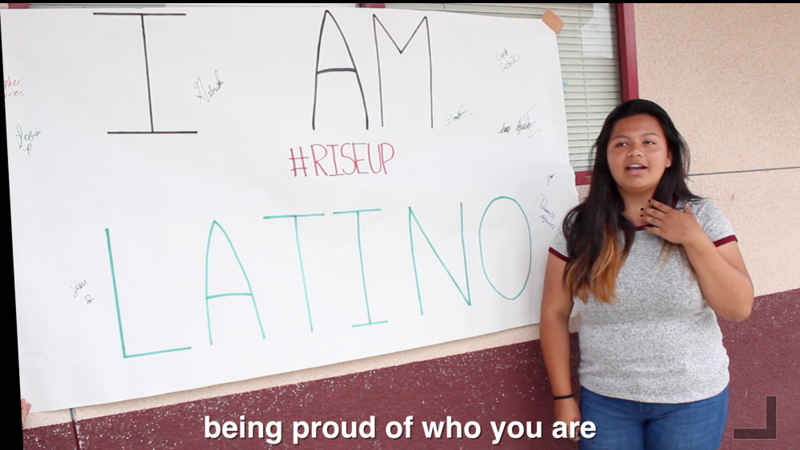 083016_MUSD_YOUTH2: Bell Gardens High junior Heidi Venegas talks about her Latino heritage pride in a video created by Miguel Ruiz’s students as a social justice project after attending the Rise Up for Humanity youth conference.